see WHY YACHT CHARTER ? how to buy viagra? There is no typical day on a yacht charter. You choose where you want to go, what you want to see or do and our team, together with our boat crews, take care of the rest! Venture out to explore small remote islands, rarely visited by foreigners, or search for the tropical wildlife, enjoy a choice of watersports, fish, dive day or night, surf, snorkel, hike…or just relax in the sun on deck or the deserted white beaches under a palm tree with a good book. Enjoy a different view every day! Ever fantasized about sailing off into the sunset with your closest friends, family or loved ones? Want to broaden your horizons further afield? Need to step away from the daily stresses of modern life and reconnect with nature? Maybe you are in need of some private quality family and friends time away from all distractions and demands of other people? Simply put: chartering a boat with us is the perfect way to see the real Indonesian islands, many of which have treasures lying in wait that can only be experienced via boat access and with our local knowledge. 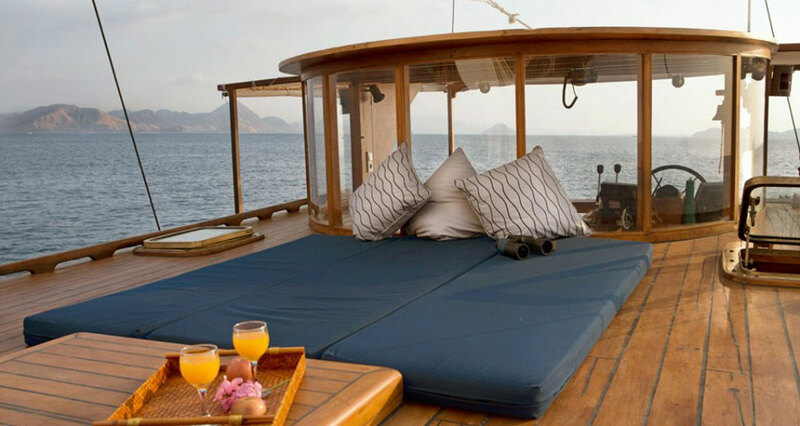 Furthermore, chartering an entire boat gives your traveling party absolute exclusivity and privacy. Ask us about the boats that you can also charter on an individual cabin basis to explore this magical country with other like-minded people. We have boats that cater for day trips as well as longer vacations. You can also choose from our selection of villas should you wish to spend some time in Bali or Lombok at the start or end of your trip in Indonesia and we would be happy to arrange any private celebrations either on board your charter or at one of our properties. Whichever option you choose, a journey with IYC Adventures is the perfect choice of getaway from the pressures of modern life for small group travel or private journeys with family and friends. So turn off your phones, switch off your computers, climb aboard, get back to nature and revel in the wonders of what this region of the world has to offer you on a journey to remember.